There was Hutch, there was Layton and Johnstone and then there was Layton. London was fortunate to have attracted a trio of sophisticated black American cabaret singers and instrumentalists to its shores in the 1920s. Leslie Hutchinson has been covered in this series and so have Layton and Johnstone and so now we have just Layton. It was news to me that the reason Johnstone returned to New York and split up such a nationally successful duo was that he had been cited in a divorce case instigated by the hero of Palm Court violinists, Albert Sandler, whose wife had dallied with Johnstone. 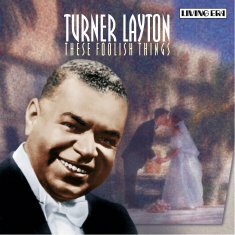 Like his near contemporary Duke Ellington Layton was born in 1894 (or 1892) in Washington DC. Part of the black middle class he studied medicine before turning to the vaudeville circuit where he teamed up with Henry Creamer; together they wrote After You’ve Gone, Dear Old Southland and Way Down Yonder in New Orleans and scored hits on Broadway. Eventually Creamer and Layton split and in 1923 Layton teamed up with Harlem born Johnstone and sailed to England. Suave, elegant and self-contained Layton was everything one could expect of a cabaret pianist-singer. He rapidly secured a recording contract with Columbia and a regular spot at the swishiest of the swish, the Café de Paris. He also seems, to judge from his discs, to have acquired a splendidly modulated English accent, complete with short "a" (as in answer) and a debonair insouciance perfectly attuned to his repertoire. He was quick off the mark, recording Jerome Kern’s Smoke Gets in Your Eyes some months after the show opened and responded to the success of the 1935 film Roberta by going straight to the studios to sing one of the big hits, Lovely To Look At. He could come on like Noel Coward as well – try These Foolish Things and wasn’t above a little stuff and nonsense, as in A little rendezvous in Honolulu where the otherwise excellent British guitarist Len Fillis lends two hands to uphold the hula spirit. The rich Layton voice was augmented with the occasional ascent into falsetto and even a go at Charles Trenet’s Boum! which he sings in English and French, with not quite the boulevardier spirit it must be admitted. He even enlisted the little known (sweet and excellent) fiddler Oscar Grasso to play Coleridge Taylor’s Question and Answer (also known as one of the movements from the Petite Suite de Concert). There is his famous version of As Time Goes By and some charming medleys though his tribute to fellow Washingtonian Ellington lacks pep and is strictly for the white tie and tails brigade. Layton died in London in 1978, a full quarter century after Johnstone’s own sad death back in Harlem. He was an adornment of the supper club and cabaret days – which is how his discs should be understood – and this splendidly engineered and transferred disc gives us 23 tracks spanning nearly a decade and a half of his solo discs.